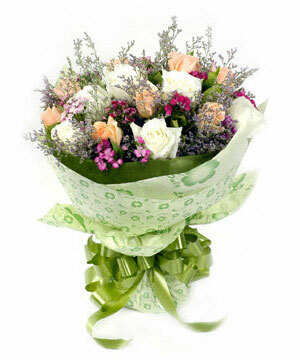 9 white roses + 9 champagne roses with full lovers' weeds, match pink flowers. Green tissue paper lining, circle packing. I can see you When opening eyes.